I want to work with young people. Plectrumelectrum is the debut album of Prince‘s all-girl backing group, 3rdEyeGirl – a band that he assembled in December 2012 after watching their audition videos on YouTube – whose material was written through their combined input (the title track is written by Donna Grantis). 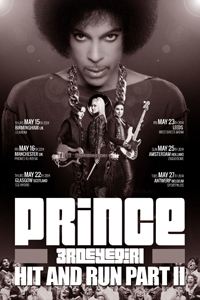 The Hit And Run Tour in promotion of 3rdEyeGirl, and therefore Plectrumelectrum album, was similarly facilitated via word of mouth and the use of social media. Essentially a rock album, Plectrumelectrum is recorded in analogue, and with the band playing in together in the studio rather than recorded individually and digitally – the norm for contemporary albums. This was create a rawer ambiance, to evoke a listening experience akin to a vinyl LP of the 70s. The existence of PlectrumElectrum was announced on the band’s @3rdeyegirl Twitter account in early 2013, with the recording complete that November. Fixurlifeup was released just prior to the final night of the 2013 Live Out Loud Tour. It would be well over a year following this that the album would actually be released. Indeed its long hiatus was met with frustration among fans who feared the release would ultimately be cancelled. The official listening party did not take place until 12 June 2014 and the release of the album was withheld until 30 September that year. It enjoyed a very positive reception from fans and critics alike, and commercially too, selling 33,000 units in the US it peaked on Billboard at number 8, and at number 11 in the UK. Songs were recorded for a second 3rdEyeGirl album, but did not materialise due to Prince’s death in 2016. 2 Written by Donna Grantis. 3 Written by Alice Smith. 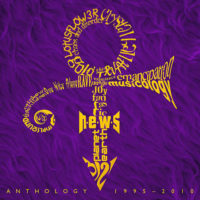 Funny thing is, and it is purely down to the sheer length of time waiting for Plectrumelectrum (since 2010’s 20Ten to be exact), the relief, which was palpable when this was finally released, for there were plenty of dark moments when even the most believing of Prince fans fought off waves of doubt that the album would ever see the light of day, was tempered only in that Plectrumelectrum came out with Art Official Age on the same day. 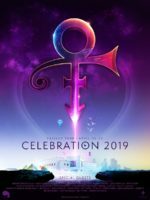 Yet it had always been Plectrum I have been so desperate to hear more so than any other Prince release in my 25 years as a fan because of that long wait to getting it. The big question that arises out of this is will this much delayed ‘debut’ album of 3rdEyeGirl also be their last. The Revolution saw three albums and the NPG only two. But unlike other projects the energy and youth of the 3rdEyeGirls provide an inoculation, not sidetrack, to Prince career. Throughout Prince is sharing, not feigning responsively to his fellow band members – yes, he holds them all on equal par and doing so was the key to the album’s appeal. The opener dispels all that pre-release pent up anxiety, a one-word description of the entire album – Wow! It’s odd not hearing Prince on all the songs and it in that way harks back to when he did it first on Parade (I Wonder U), yet his presence is not only felt but heard keenly throughout. This does remain a true collaboration album, however. His trust in the band’s musicianship is based in the fact they as a quartet are as tight as any serious rock band. Plectrumelectrum is the perfect cocktail of hard (Aintturninaround, Plectrumelectrum), reckless (Marz – a channelling Plastic Bertrand), dreamy (Wow, Stopthistrain), earthy (Anotherlove) and retro (Fleetwood Mac inspired Tictacto) voyage through music fans have grown to expect from Prince releases: Boytrouble and Funknroll pack the real punch. With too many outstanding tunes it’s just far simpler to call out the weakest: Fixurlifeup. The highs just keep coming in what must be a reward for a truly long wait for a Prince album – and one that begs to be played loud. Electric. Plectrumelectrum is reviewed by Goldies Parade.